Tryxie can never resist some cute jewelry! 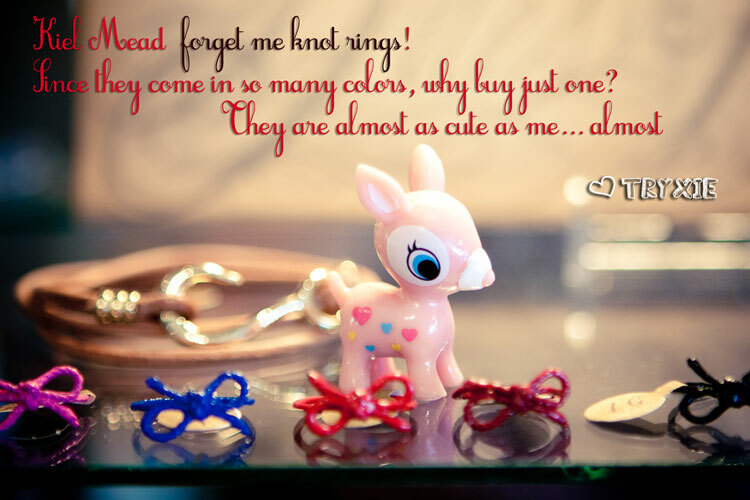 We’ve got super sweet Kiel Mead Forget Me Knot rings for everyone. Literally, over at the Hillhurst shop we’ve got them in all sorts of cool colors to match any outfit. You can also get them in silver and/or gold for a finer touch too. Take advantage of the break in the heat and head on over for some retail therapy. This entry was posted in Uncategorized and tagged jewelry, kiel mead, rings, tryxie by admin. Bookmark the permalink.